Our firm understands the complexities behind eminent domain cases, striving to help our clients receive just compensation for the damage done to their property. With over 2,000 cases under our belt and a proven record of multi-million-dollar jury verdicts and settlements, we are a firm you can trust. When it comes to Irvine and the rest of Southern California, know our eminent domain attorneys fight hardest for our clients, regardless of whether you are an individual or a large corporation, even if the government denies responsibility. This dedication to success includes cases other condemnation attorneys shy away from. 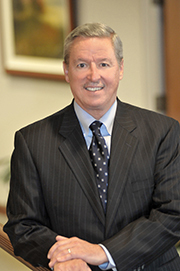 Specializing in eminent domain and valuation litigation for the past 35 years, Mr. Hennessey brings experience with hundreds of cases to the table. He has handled both condemnation and inverse condemnation cases for a variety of clients, from individual property owners to business owners. His successes include a wide variety of property types, including commercial and residential land. Perhaps more importantly, Patrick Hennessey’s record speaks for itself. As an eminent domain attorney, has won over $100 million dollars for his clients. His high-profile cases include the Lever Brothers soap facility, numerous cases against the State of California, various school districts, and city governments. Mr. Leifer has earned his spot as a partner of Palmieri Tyler, successfully fighting condemnation litigation for more than a decade. He has experience representing both condemnation and inverse condemnation cases, which he has proven to be very successful. 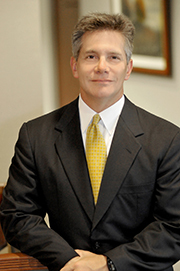 His accomplishments as an eminent domain attorney include obtaining the first appellate case opinion on eminent domain, as well as millions of dollars for his clients. He has experience in fighting public projects, taking on highways, freeways, sports arenas, and utility facilities. He has been instrumental on behalf of his clients, winning favorable settlements and defeating unjust challenges. In some cases, his clients need not be displaced even after winning a favorable settlement, an impressive feat. When it comes to real estate, Mr. Kehoe knows his way around eminent domain and inverse condemnation cases. He has successfully represented a myriad of clients, including private and publicly traded companies, property management groups, individual homeowners, and real estate investors. Through years of practice, he has also become a go-to for other related topics. His clients trust him to resolve disputes regarding land use rights, permits, code enforcement, conditional use, and entitlements. His successes as an eminent domain attorney include millions of dollars in favor of his clients, including when the government denies any liability. 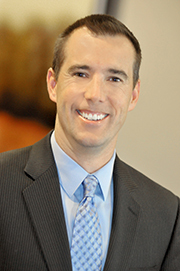 Mr. Kehoe is responsible for assembling the litigation teams for the firm and is willing to put his wide network of valuation experts to work for you. Under both federal and state constitutions, governments retain the right to “take” private property in order to use the land for the public. This right is eminent domain. In being forced to sell the property, property owners are entitled to “just compensation” in return for relinquishing their land for the public good. However, sometimes governmental authorities abuse this right, including not offering a fair price, taking land for the wrong reasons, or failing to follow the proper procedures. In some extreme cases, the government may even incorrectly claim “police power,” which requires property be surrendered and/or destroyed without compensation. Our Irvine-based eminent domain attorneys represent property owners throughout Southern California, helping clients ensure their statutory and constitutional rights are met. Condemnation is the court-ordered process through which eminent domain occurs. Inverse condemnation occurs when a governmental authority takes property without following the correct procedures; often, this also means the owner does not receive compensation. Our eminent domain attorneys represent clients in both fields, fighting for our clients to receive the “just compensation” they are legally entitled to. There are many reasons why property owners may need valuation services. This comes up often in eminent domain cases, but any time a value of a property is in question, you can trust our experts. Our eminent domain attorneys consult with engineers, valuation professionals, and any other relevant individuals to determine the appropriate value of your property. At Palmieri Tyler, our clients often ask us for counsel or representation in determining the value of premises when seeking to renew a lease. This can include a large variety of circumstances. For example, we counsel business owners facing large rate increases. We also work with property owners who seek fair negotiations after their land has appreciated, which usually occurs over the course of a long-term lease. Similar to our property valuation services, we work with financial and design professionals to determine valuation. Across the country, environmental statutes seek to impose limitations on property owners. The California Environmental Quality Act (CEQA) is one of those pieces of legislation, which property owners are often at risk of violating. Failing to follow CEQA regulations and other laws could cost a property owner millions. At Palmieri Tyler, our eminent domain attorneys work with property owners to provide compliance counsel and defend them against regulatory actions taken by governmental authorities. Contact our eminent domain law firm in Irvine, CA today.